Planning a vacation to Perth will surely turn out to be a wonderful experience for you as the place is known for its cleanliness and unique beauty. The city is the center of culture, commerce, entertainment, shopping and sports. Most of the visitors look for mini bus charter in Perth as this service is excellent and offers maximum comfort at the same time. Travelling in a bus can be a whole new experience for you and for your friends and family as you will be able to see the city in great depth. The well signposted roads make travelling quite easy. The best part about travelling via mini bus is that you will be able to see Australia’s wonderful fauna. Some of them are discussed below. 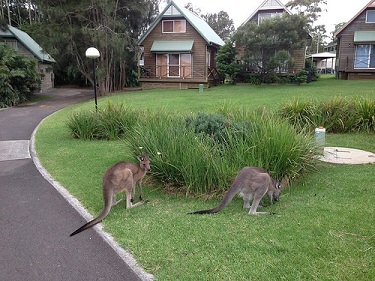 The kangaroo is Australia’s national symbol and you would surely love to see him closely. They can be rarely seen during the daytime especially when the weather is hot. Kangaroos are not aggressive animals but the larger species can get a little bit dangerous if they are cornered. There are times when they have slashed their opponents with their claws. They can be a hazard for the travellers especially after sunset. They hardly have any road sense because of which they usually jump into the way of cars and buses. The Emu is the second largest bird in the world. This bird is usually found in less inhabited areas. Sometimes they are seen close to town. The bird is quite mobile and sometimes become a problem on the roads. They are known for damaging vehicles and creating problems for cereal growers. Make sure you visit Emu farms during your trip. Australia is known for having the largest number of ant species. Scientists from all over the work come to this region to study them. Termite mounds are a marvelous feature of the tropical north. You will be surprised to see a vast number of species. It might surprise you that only ten percent of Australian snake specious are dangerous. However, there are some specious that are quite deadly. Red-bellied black snakes, brown snakes, copperheads, death adders and tiger snakes must be avoided at all cost. 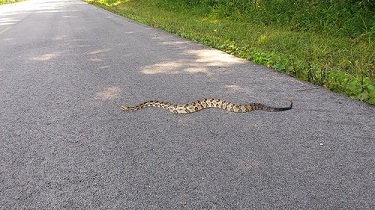 There may be a chance that you do not see any snake during your trip as snakes are known for keeping a low profile. In order to remain safe, make sure you wear socks and boots all the time along with heavy weight trousers when you are walking through undergrowth. Stomp or tramp heavily as it will make the snakes slither away. They can be a nuisance during your travel especially when you are heading towards subtropical and tropical areas. There is a risk of Ross River Fever from these mosquitoes, which is a virus that has very similar symptoms to Glandular Fever. People experience sore joints, extreme fatigue, flu and nausea. Make sure you use insect repellent during your trip and keep your skin well covered. Using mosquito nets and insect screens on windows are also recommended.